We just picked the rest of the tomatoes from our garden before the first frost this year. 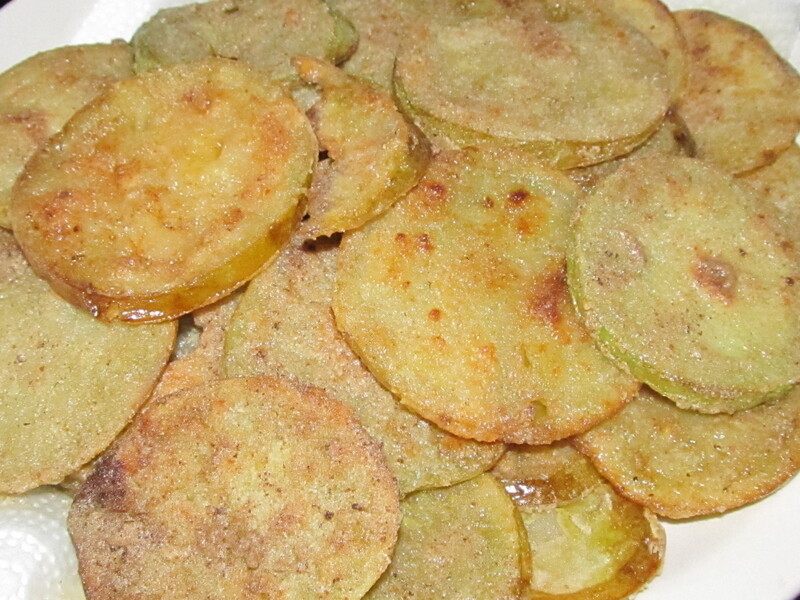 These are so good my husband likes to pick them green just to fry, in the spring before the first ones get ripe. Enough oil enough oil in skillet to pan fry tomatoes. Whisk together flour and other dry ingredients. Wash, core and slice green tomatoes, about ¼ inch thick. Dip each tomato slice in coating mix, coating each slice on both sides. Be sure oil is hot when you place coated slices in the pan. Fry each side until golden brown. (About 2 – 2 ½ minutes per side) Drain on paper towels and serve.